John A. Jaros is a shareholder with Riley Riper Hollin & Colagreco whose practice is focused on land use and zoning issues and related litigation for real estate developers, investors, builders and institutions. John works closely with clients on major developments and building projects throughout southeastern Pennsylvania. Since joining Riley Riper in 1989, John has earned the reputation as one of the regions most thorough and knowledgeable land use and zoning attorneys. He works closely with clients and their consultants to proactively identify contentious development matters, spot issues that may likely delay or potentially derail project plans and help navigate the complexities associated with obtaining municipal and state regulatory agency approvals. He also defends his clients’ development entitlements throughout the Pennsylvania appellate court system. The rezoning, zoning and land development approvals to build a 500,000-square-foot town center in Concord Township, Delaware County. The rezoning, zoning and land development approvals for a 500+ unit Continuing Care Retirement Community (CCRC) project located in Westtown Township, Chester County. The rezoning, zoning and land development approvals for a 7.2 megawatt solar facility in Caln Township, Chester County. The municipal approvals for a major convenience food market to permit the sale of beer in one of its Pennsylvania convenience food markets located in Concord Township, Delaware County. John prides himself on being thoroughly prepared to address his client’s zoning and land development applications along with their accompanying challenges. He credits his success to his ability to quarterback the consultant team, communicate effectively with the client and the various project stakeholders, and work within the client’s timeline and budget. John received his Juris Doctor from Widener University School of Law and his Bachelor of Arts degree from the University of South Florida. 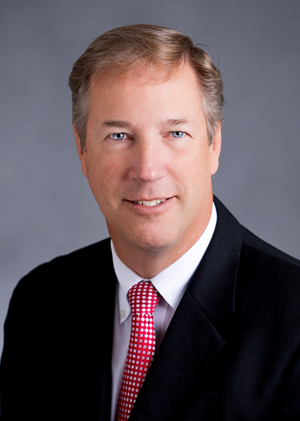 Active in the community, John is the Chairman of the Southern Chester County Chamber of Commerce (2017) and currently sits on the Board of Directors for the Chamber. John and his wife Toni have five daughters, one of which recently graduated law school and entered the U.S. Army JAG (Judge Advocate General) Corps.